(10:12 p.m. EDT) -- Viking River Cruises will soon be growing again. 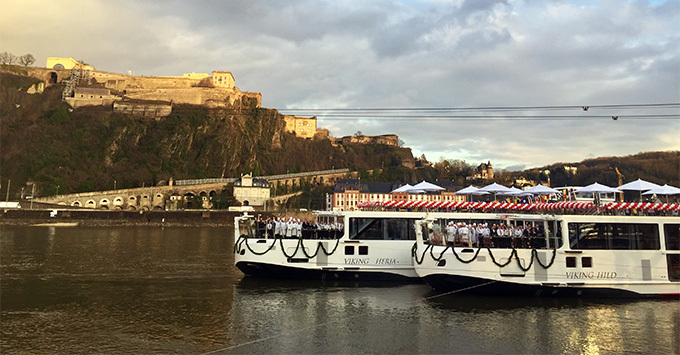 At a press event onboard ocean ship Viking Sky in New York City, company chairman and founder Torstein Hagen announced seven new riverboats will debut in 2019. New ship Viking Helgrim will sail the Douro River in Portugal. The remaining six will sail the Rhine, Main and Danube Rivers. Their names will be Viking Einar, Viking Sigrun, Viking Sigyn, VikingTir, Viking Ullur and Viking Vali. These six ships will have Viking River Cruises' signature Longship design, carrying 190 passengers in all-outside cabins. Like their fleetmates, they'll offer a sleek Scandinavian design, multiple dining venues and the line's popular Aquavit Terrace.